Tehran is the historically rich capital of Iran. With over 9 million residents, it is the most populous city of this Middle Eastern nation. Tehran furthermore offers you the opportunity to discover its wealth of sights and sounds. 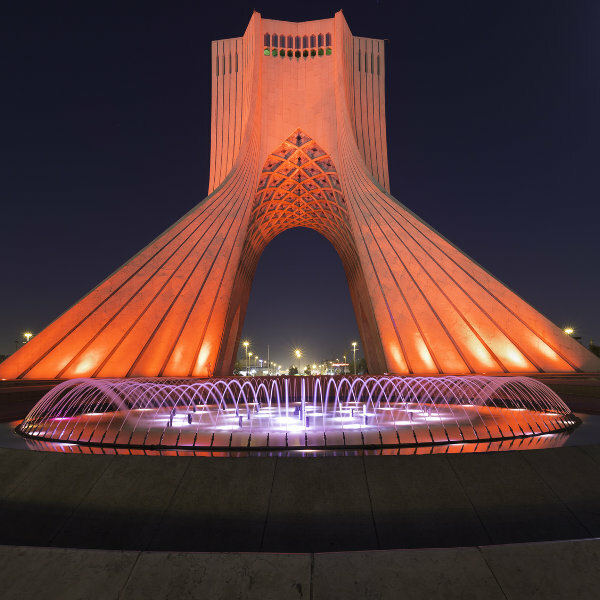 The top attractions of this destination include Golestan Palace, Azadi Tower, and Tehran Museum of Contemporary Art. Seize this chance to experience the capital of Iran, because cheap flights to Tehran are now available for a limited time! This Middle Eastern destination is home to the Mehrabad International Airport (THR), which is a 20-minute drive from the city centre. Explore the archaeological digs, structures and sites around Tehran, which reveal the city’s tremendous age. A collection of museums will tell you even more about this destination. A variety of points of interests, parks and landmarks can be found around Tehran, showcasing this city’s exceptional beauty. The residents of Tehran are always ready to welcome you and lend a helping hand. This will serve to enhance your holiday experience in this beautiful destination. The most popular time to visit Tehran is between the months of March and May (spring) and September to October (autumn). This is when the weather is the most pleasant, with moderate temperatures and some rainfall. The price of accommodation does rise during this period, however, and you will have to endure an increase in the amount of tourists visiting Iran. The cheapest time to go is during June (early summer) and late October. You will have to dress for the heat in June and the chill in October, but remember that since this is an Islamic country, you will need to dress conservatively, by wearing long sleeves and trousers. This especially goes for women, who are required to wear a headscarf as well. Failure to do this will result in arrest and a fine. Tehran is the capital of Iran, and the country’s largest city, hugging the slopes of the majestic Alborz Mountains. 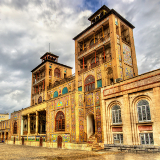 Discover this destination’s wealth of history, with archaeological excavations showing that there were civilised settlements in Tehran since 6000 BC. 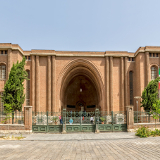 Not only is Iran’s capital rich in history, but this multicultural city also features wonderful art galleries, parks, restaurants, and museums. The friendly locals add a sense of welcome that only further enhances the quality of your time in Tehran. 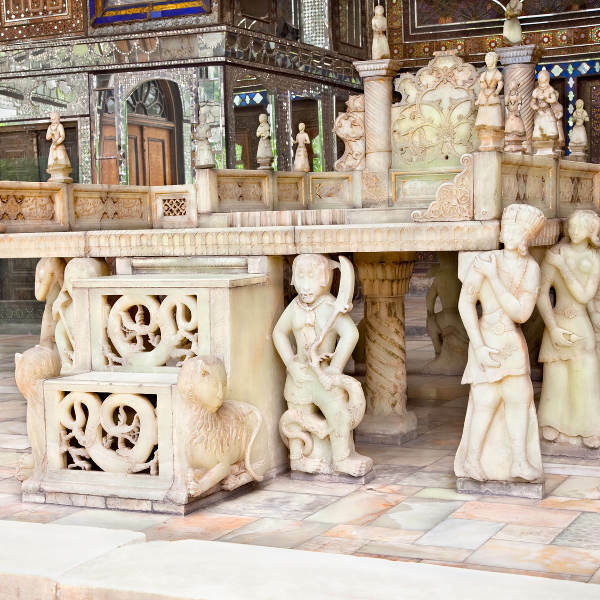 Some of the top attractions include Golestan Palace (which is surrounded by lush gardens), the National Jewels Museum (which houses yet another attraction, the Peacock Throne), the Reza Abbasi Museum, and the stunning Azadi Tower. Set yourself up for a memorable holiday in Tehran. 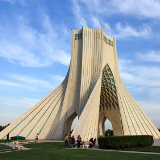 Compare several airlines and book your cheap flights to Tehran online at Travelstart! The Centres for Disease Control advise that travellers should visit their doctor and get up to date on all the routine vaccinations before travelling to Iran. 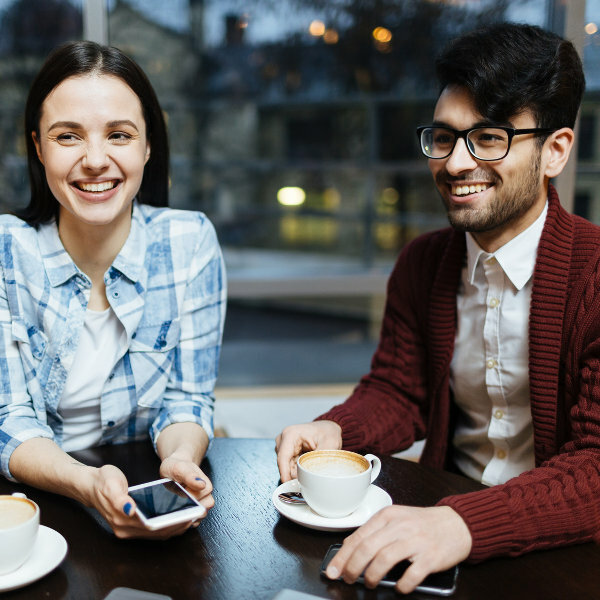 Other diseases that pose a threat are hepatitis A and B, typhoid, malaria, and rabies. While Tehran is Iran’s most liberal and secular city, it still retains the conservative traditions of an Islamic destination. Public affection is forbidden. Women must make sure to wear long sleeves and pants/skirts, and wear a headscarf. Tehran enjoys a fairly high standard of safety; however, it would still be wise of you to remain cautious. There have been cases of fake policemen scamming tourists. They usually travel in unmarked cars and flash phoney IDs, and request to see your passport or search your luggage. When in doubt, head to the nearest police station. A large collection of hotels are situated in Tehran, many with restaurants, cafés, pools, free breakfast and more. The cost of booking accommodation with one of them ranges from over 2 million ﷼ to over 17 million ﷼. You have a few options in terms of travelling around Tehran, namely a bus service, a BRT service, taxis, motorcycle taxis, and the metro. The bus system is expansive, but may confuse you, since the bus numbers, route descriptions, and other information, is all in Persian; however, you might get help from a local. Some of the buses require a prepaid card, which costs under 20 0000 ﷼. Other buses require payments by cash (from around 2000 ﷼ to around 7000 ﷼).The BRT buses, coloured in red, are one of the best ways to travel when traffic is heavy. The cost for using them is around 2000 ﷼. The metro system is by far the best option, helping you skip all the noise, pollution and traffic. It can get crowded, however, because locals use it for the same reason. One trip costs around 7000 ﷼, while a go-and-return ticket costs around 12 0000 ﷼.